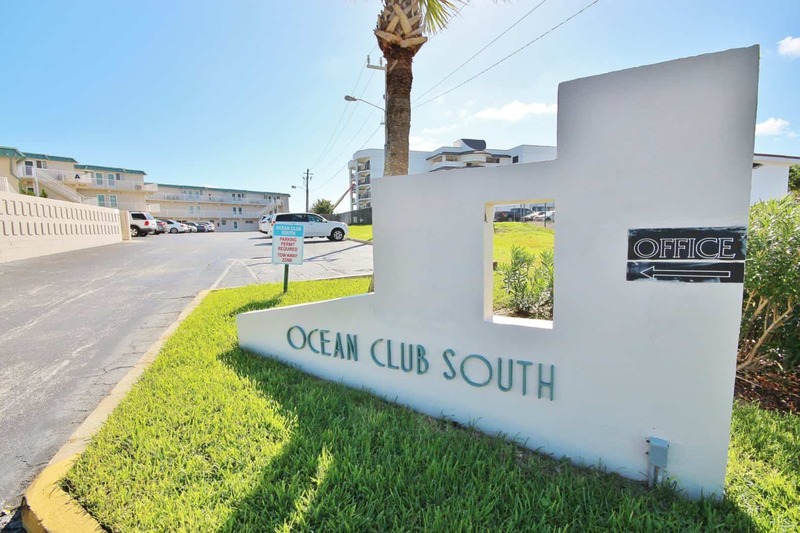 Ocean Club South is a private condo complex located on the no-drive portion of the beach. 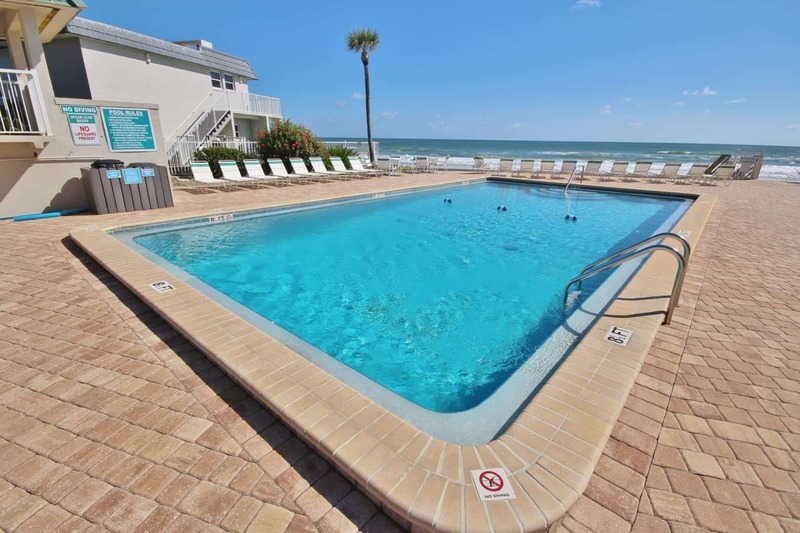 This 41 unit New Smyrna Condo complex offers a relaxing beach experience for water lovers with its beach view condos, oceanfront condos, and unmatched amenities. 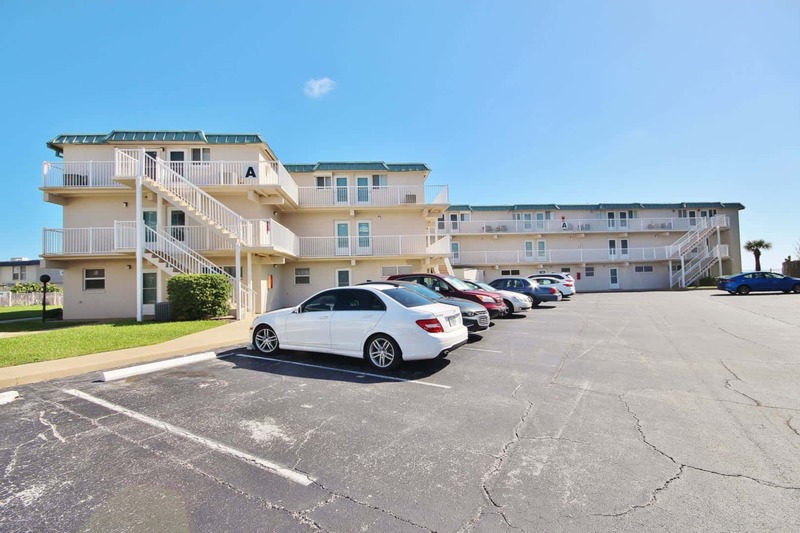 The units here are all 2 bedroom/2 bath units with fully equipped kitchens and bathrooms. 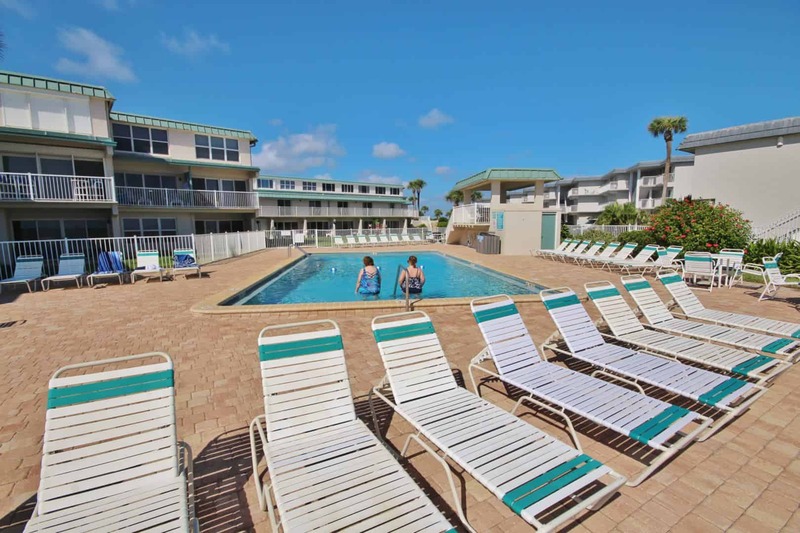 With 3 stories, the complex was built in 1966 and has just 41 individual units. 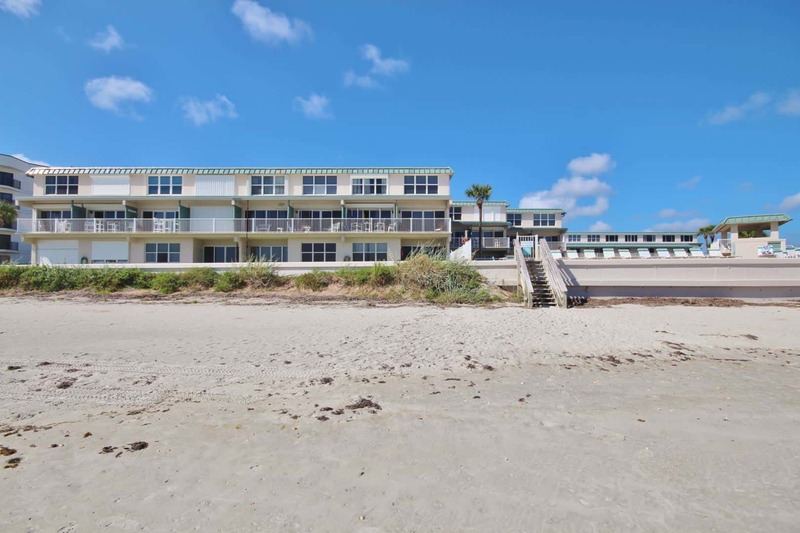 Located towards to south end of New Smyrna Beach, Ocean Club South is the steps away from the pristine sands of the no-drive portion of the beach. 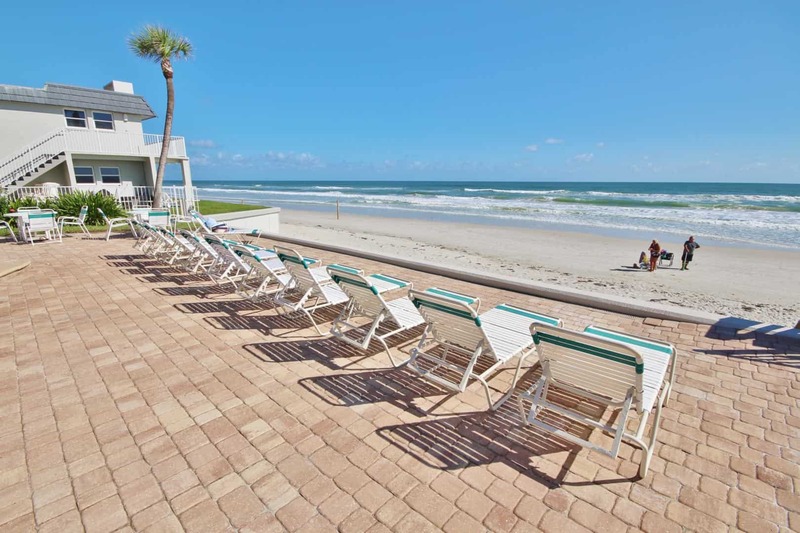 Every New Smyrna Beach Condo Rental here has balconies with ocean views. 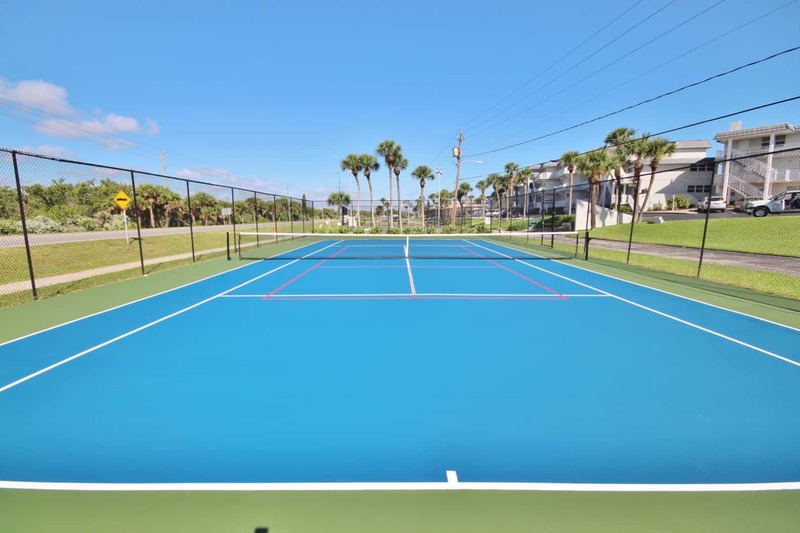 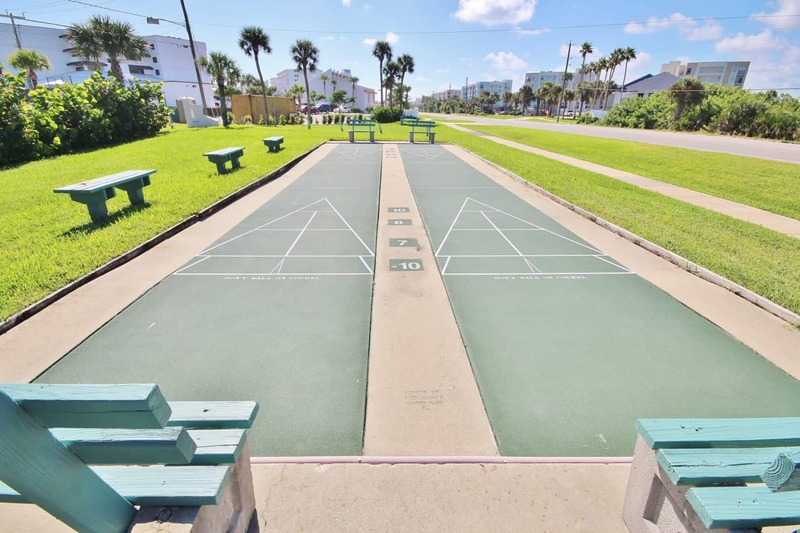 Enjoy this complex’s spectacular amenities, such as communal washers and dryers, an oceanfront pool, shuffleboard and even a tennis court onsite.